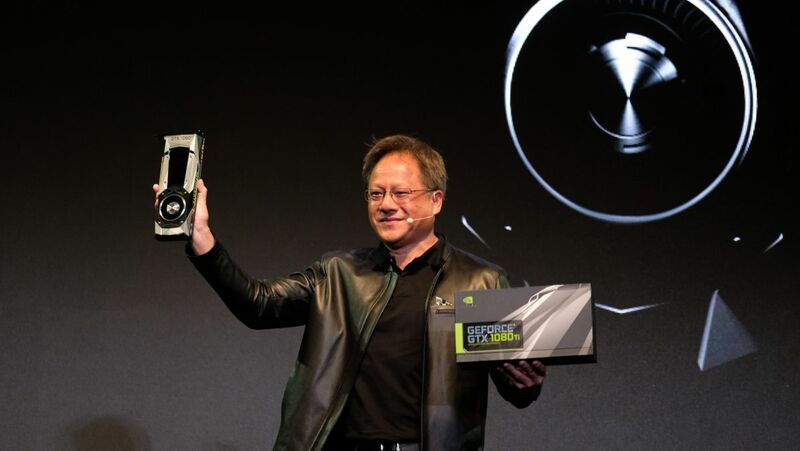 Nvidia will reportedly debut its 7nm Ampere GPU architecture during the keynote at its GPU Technology Conference on March 18, according to the latest report from TweakTown . Following the launch of the Radeon VII , AMD’s first 7nm graphics card, earlier this February, now would be the perfect time for Nvidia to answer in kind with its own 7nm architecture. There have also been rumors that suggest Nvidia has tapped Samsung to create 7nm transistors using its extreme ultraviolet lithography process. If Ampere is real and it truly features a 7nm architecture, it should inform the design and features of Nvidia’s next GeForce series. Tensor cores and GDDR6 memory that first appeared on Volta -based GPUs eventually trickled down to Turing, and we suspect that pattern will repeat itself. However, while the timing would make sense, we remain skeptical about these rumors. For one thing, TweakTown’s sources have a hit rate hovering close to 25%. Just looking at Turing’s launch, the publication was incorrect about it being the 11-series, and posted multiple announcement dates that proved to be wrong ; that said, the publication was one of the first to rightly call the Turing name.